Employers shouldn’t just comply with auto enrolment, but positively embrace it. 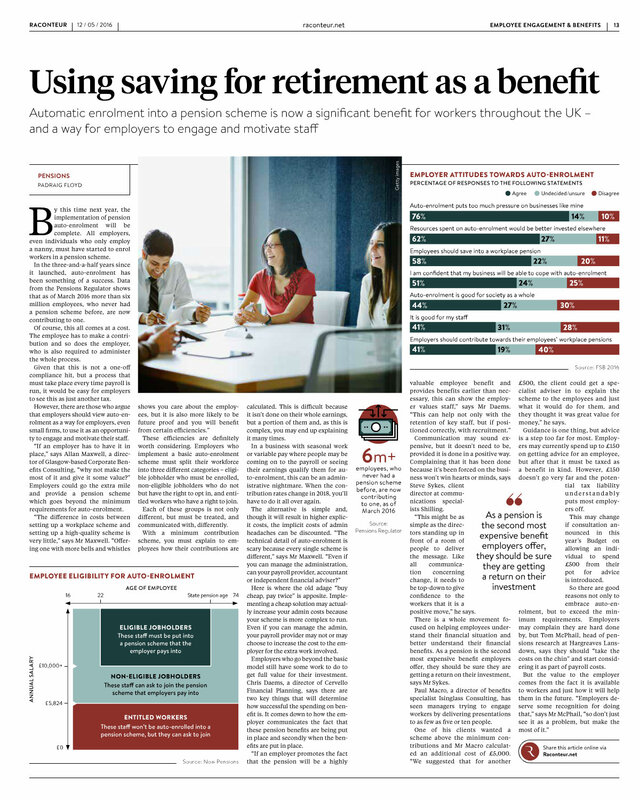 Read why in my article on page 13 of the Raconteur Employee Engagement and Benefits supplement published in The Times this week. It’s free to read or download the whole publication.